If you are a business owner, a marketer, or even run an online blog, you have probably heard the phrase “SEO” or “Search engine optimization.” But do you know what it means? How does it work? Why it is important to your business’ success? What about proper expectations? Let us break it down. Okay, but what does that mean? Quantity of traffic: Just like you want more foot traffic in your store or more people interested in trying your restaurant, you also want more website traffic. 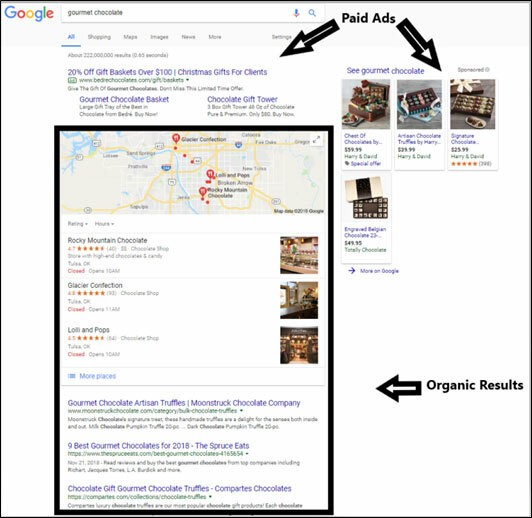 Organic search results are anything that appears in the SERPs (search engine results page) that are not paid for. Ads normally appear at the top of the search results because people are more likely to click on a website at the top of the page rather than scrolling through the lower results. 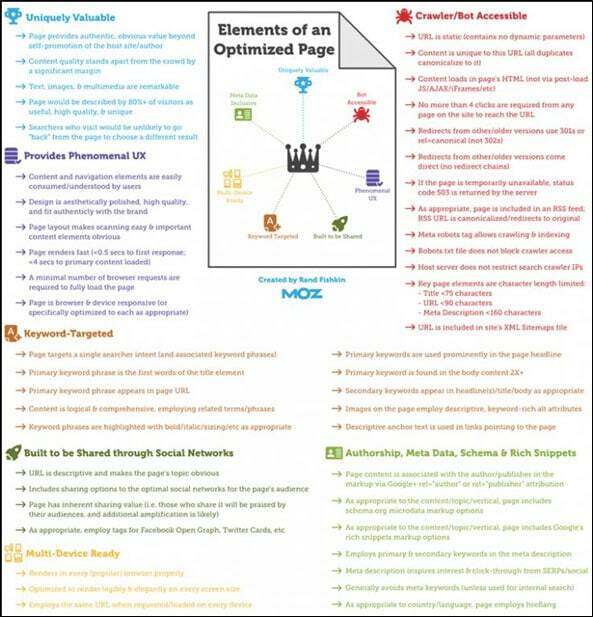 How Does Effective SEO Work? Behind the scenes at Google is a world in which many of us small peasants will never understand; however, what we do understand is a little bit about how the Google Crawler works. At night time, the Google spider comes out and webs its way throughout websites to gather information about the content and to understand what the site is about. The spiders bring back all the information they can find and spin it into an algorithm that tries to match all the data back to individual search queries. When you type a query into Google, the algorithm is ready to present you with the types of results it thinks you are looking for. Even the experts are a little lackluster about what goes into the algorithm, but they have put together a few ideas based on months (or even years) of research. It’s also important to understand that Google’s algorithm is subject to change at any time based on new information and evolution of the way people interact with search results. That sums it up for the Search Engine part of SEO. The Optimization part is where we come in. So, let’s break down the things we can do to help the search engine (primarily Google) understand what your site is about to help you attract more of the right customers. SEO is not keyword-centric like it used to be. A few years ago, you could strategically place keywords in specific spaces multiple times on your website and expect to see an increase in rankings over the next couple of months. Keyword stuffing used to be successful, but Google wised up to the practice and began penalizing websites for misleading users. Now, keywords are content topics meaning instead of strategically placing the word throughout your site, you need to write sound and logical content for your customers. To be successful with keyword rich content, you must know who your audience is, what they are looking for, and which topics will fit their needs the best. Page Title: this is important for a few reasons—one your keyword is probably somewhere in the user’s search query so since this will be shown in the SERPs, they’ll know your site is what they are looking for. Another reason is that Google weighs the relevance of your page through the title tag. Headline: this is important for users because they want to make sure they are looking at a page that is going to provide them with the information they are looking for. Body Text: within the content of the page, you want to naturally include the keywords you are trying to rank for. You don’t want to stuff the keyword in the text because not only does it weigh the text down, but it makes it hard for users to read and engage with the information you are presenting them. URL: a good URL will help with search engine relevancy and will be used as anchor text typically when your link is shared from other sources. Images & image alt attributes: because once you upload an image to your website, it can show up in Google’s image search results. If a user primarily uses images as their guide to find a website, you want to make sure you appear. Internal and external links (also called anchor text): useful linking makes it easier for users to navigate your page. You’ll want to use keywords within these links to help users know what they are clicking on. Meta description: While a meta description isn’t used directly in search engine algorithms, it does appear in the SERPs which makes it critical. If a user searches “at home remedies for migraines,” to find your website, they’ll want to know from your meta description whether you discuss remedies for their migraine. Practical: What are people searching for? Why should they read your content over someone else’s? Credible & Original: It’s critical to write original and credible content because you want to show authority and avoid duplicate content penalties. Informed & Readable—Is it organized in a way that is easily navigable? Strong headlines—strong headlines have longtail keywords, help readers navigate your content, and help search engines understand what is included in your content. Accurate & trustworthy—doesn’t boast fake news! 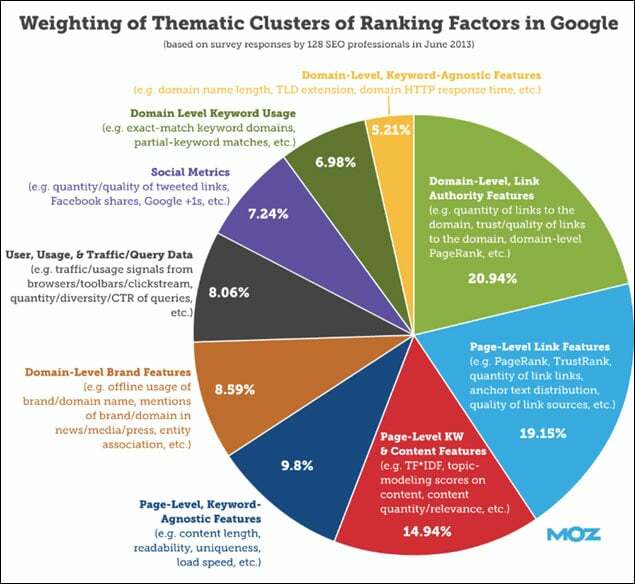 Rich content is not enough to improve your rankings (improved rankings equal more clicks to your site thanks to higher impressions…more on this later). Page Load Speed: Test your page load speed here. Mobile friendliness: you can test your site’s mobile friendliness here. Page metadata: used to tell Google what your site was about, but now is primarily a snippet of text that tells customers what they can expect to find on your website. Have you ever stumbled upon a website that is riddled with unreadable content? Content that looks to have been written by a robot or by someone who really doesn’t care whether it is easy for you to read? That website is most likely practicing black hat SEO. Black hat SEO refers to techniques applied to get higher search rankings that break search engine rules. Black hat techniques vary from unrelated keywords added to content because it looks unnatural, what are called doorway pages which are fake pages filled with automated bot text, and even invisible links or text on your page to trick readers. Luckily for us, Google caught on to black hat techniques and once they catch a site breaking their rules, they will punish the site and its rankings will be affected. At this point, you’re probably wondering “How long before my website is #1 in the Search Results?” Unfortunately, the answer to this is more complex than the question. SEO is a multi-faceted, complex machine. There are a lot of variables that go into how quickly you can see results such as baseline traffic, website design, domain age, geographic location, and competition. SEO is a long-term strategy like a 401k. Results will not happen overnight but over time. A very general answer is that you may start seeing results within 4-6 months. The fact of the matter is a 10-page website is different than a massive e-commerce site like Amazon or even sites like Wikipedia. This is why we push content-rich pages to help Google understand what your website is about and why readers should view you as an authority. Remember, SEO tactics change on a regular basis. Most people in the SEO world will preach about Evergreen content (content that is always true or easy to update), but when it comes to SEO and how it works, it is hard to offer a long-term sustainable answer. What is “perfect” today might change before tomorrow. Additionally, services, platforms, and areas of optimization weights could arise at any time. Momentum3 Growth’s team of SEO experts are constantly researching, reading, and staying up to date with Google algorithm changes, effective SEO strategies and tactics, and ways to create more engaging content. You don’t have to do it all or know everything about SEO yourself, we are here to help!